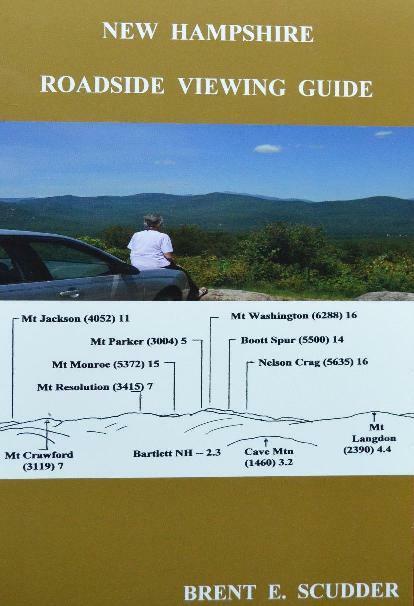 New Hampshire Roadside Viewing Guide is not only for the hiker but for the tourist as well. As Mr. Scudder states in the introduction "A hiker might enjoy sharing his or her enthusiasm for the White Mountains with an aging mother or father who has been taken out of a nursing home for the day. A parent might wish to indoctrinate his or her children with the thrills of the outdoors before asking them to tackle a mountain however modest the height. Showing and identifying what can be seen from a roadside view can greatly enhance the outdoors experience of those who cannot climb. Brent's definition of "roadside" includes panorama diagrams from sixteen summits accessible by automobile, summertime chairlift or tram car. Yet he does not forget the pastoral views across meadows filled with grazing animals seen from the side of the road that bring peace to the heart.